The secret’s out! You can officially get that little blue tick next to your name… with a few conditions, of course. If you’ve always wondered what it takes to get that little blue tick mark next to your name, you’re not the only one. It’s always been shrouded in secrecy so no one was ever really sure of how it happens, but now thanks to a new update, the feature is now easy to find, but might not be so easy to maintain. Instagram’s co-founder and CTO Mike Krieger announced in a blog post that “accounts that reach large audiences” can now request to be verified from within the app itself. This announcement enables public figures or business owners to have more say in whether or not their page becomes verified. You’re gonna have to prove who you are though. Instagram’s release states that those who request verification must provide their full name and their legal (or business) ID. From there, the app will review requests and determine whether or not to grant the applicant that coveted blue icon. According to Wired, the new “Request Verification” feature is part of Instagram’s latest effort to make the app more secure. The app is also rolling out a new “About This Account” feature for accounts that are widely followed. Starting August 28th, users will be able to tap the three dots by an account’s name to see information like where the account is based, when it was created, and any username changes it has undergone. Instagram has also begun to support third-party authenticator apps to make your account harder to hack. Which is all really great and will hopefully stop hacking and fake accounts doing the rounds. 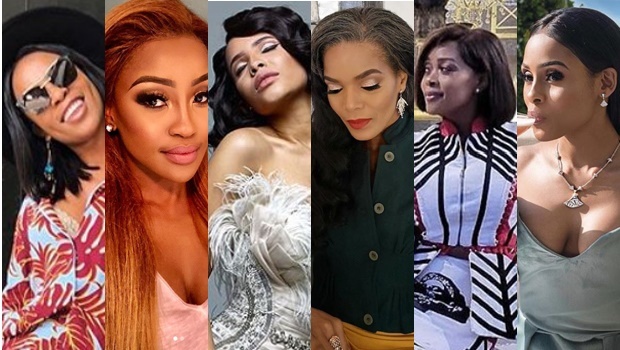 But now, which local celebs do you think should be verified? This is our list. Smile! You’re on candid camera! ?? @nomsamadida did the things!???????????? Thank you for today my beauty. You’re the best!???????? ?? @nomsamadida (MUA)?????? Jacket and Pants by @khosinkosi ?????? You always come through!!!?? Bless you and bless you!???????? The importance of stillness , being quiet, listen to your spirit and do You. Tay in @Scalodesigner Italy collection piece ?? So I send this to my man and he says “you’re busy posting imbuzi and not posting lovely outfits!” ?????????? so here you go guys... a lovely outfit by @ukara_onlinestore ???? the #IAmWomanExperience was INCREDIBLE!!! And wena baby... sukundi qhela!!!! ??????? ?